What might change, when an organisation changes? When you think about the changes you want to bring about, to make your organisation or sector more sustainable, what do you see changing? Do you have blind spots about where change might happen, and how deep or how obvious it will be? Edgar Schein’s Three Levels of Culture model is a great way of understanding what might change, as an organisation or other entity changes. It’s useful to think very widely about the kinds of things that might change – or need to change – to get us on track for sustainable development. Croner-i’s “Environment” magazine asked me to share key insights from Change Management for Sustainable Development. That article is out now, in the spring edition (no. 74). If you want sustainability to move from being a nice-to-have, to being a must-have, at some point you will need to show that there’s a business case for it: that your organisation will meet its core mission better, faster, cheaper by paying good attention to sustainability than by ignoring it. What does the business case look like in your organisation? Our opportunities to change things can come from unexpected directions. A new CEO who wants to shake things up. A sudden upsurge of public enthusiasm for naked shampoo bars or reusable cups. A cost-cutting drive. How can you make the most of these changes from elsewhere, and surf them expertly to get things moving in a sustainable direction? Lots of the women who came along to She is Still Sustainable said that the highlight was a co-coaching exercise we ran, using a solutions focus approach. People paired up and coached each other, asking positive, future-oriented questions about the sustainability work they wanted to do. The instructions are here. Are you an environment or sustainability specialist, working to help your organisation step up to its role in bringing about a sustainable future? Want to make more of an impact? I want you to as well! Which is why I was so pleased when IEMA invited me to write a second edition of Change Management for Sustainable Development. And when one of our peer readers said "it's like having a coach in your pocket", I was really happy, because that's exactly what I wanted it to be. Huge thanks to all the wise, insightful and generous practitioners who shared their experiences with me. The BBC's brilliant Blue Planet 2 has certainly sparked a great conversation about how delicate and beautiful our planet is, as well as showing us how fragile the ocean ecosystem - on which life depends - is. Today, the BBC has launched #OurBluePlanet - aiming to get 1bn people talking about oceans and how to protect them. This blog post is a contribution to #OurBluePlanet, and it's about how you - as an environment or sustainability professional, if that's what you are - can surf this wave of change. In Change Management for Sustainable Development - out soon from IEMA - I write about some different approaches to making change in organisations. One approach is to 'surf a wave of change'. Notice what else is attracting attention and getting things moving. Use it to advance the sustainability conversation. Get traction for your green action by harnessing the energy that's already on the move. The public's concern and new appreciation of the blue planet is just such a moment. 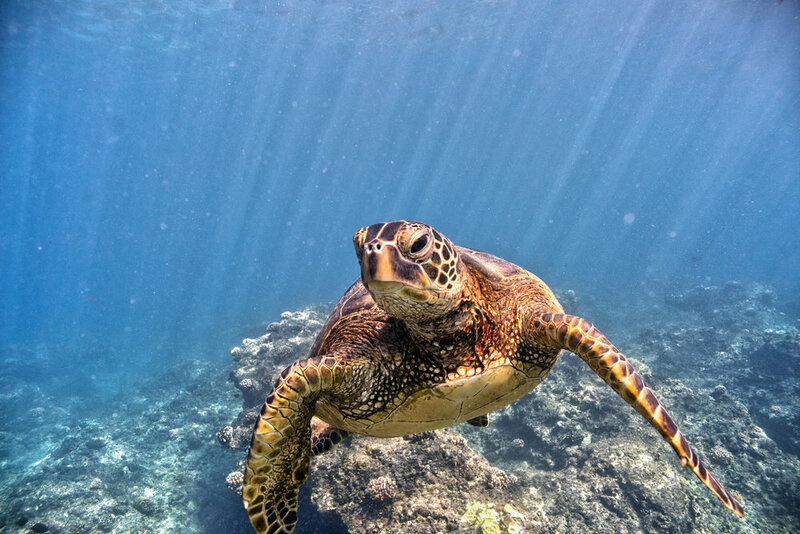 At the very least, you can let colleagues know how your existing environment and sustainability initiatives help protect oceans and allow them to recover. Whether it's reducing carbon emissions, cutting effluent, moving towards a circular economy or sustainable fishing (and I'm sure you can think of other connections), so much of what you already do is connected to #OurBluePlanet. If you are working on the Sustainable Development Goals (Global Goals), then you will know that SDG 14 focuses on Life below Water. While colleagues are interested and motivated, help your organisation respond by showing them the changes they make - strategically and operationally - to improve their ocean impact further. You are the one with the expertise, so use it to identify genuinely impactful initiatives.